We were absolutely delighted to receive over 7,000 entries from all over the world to the 2017-18 poetry, art, and song competition. View the winning entries online here, or download the Winners’ Booklet here. All of the winning and runner up work has also been published in the Never Such Innocence Anthology, available on Amazon here. The 2017/18 Competition was the biggest and most successful of our four Centenary Competitions, with over 40 countries and territories participating across five continents. Our final Centenary Competition received 7,136 entries, more than a threefold increase on our 2016/17 Competition, from as far and wide as India, Germany, Canada, South Korea, Rwanda and Greece. During the Community Roadshow we visited numerous exciting and prestigious venues across the UK, and Europe, including Birmingham Council House, the Ulster Museum, Thessaloniki City Hall, RAF Valley, RAF Odiham, Edinburgh Castle, Sunderland Minster, RAF Leeming, CWGC Head Office, Hattingen Comprehensive School, RAF Lossiemouth, The Guildhall, and the RAF Museum, Hendon. Our special guests included Prime Minister Theresa May, Chief of the Air Staff Sir Stephen Hillier, and Islamic Advisor to the Ministry of Defence Imam Asim Hafiz. Our 2017/18 competition featured two special bonus strands, Thank You and War in the Skies. 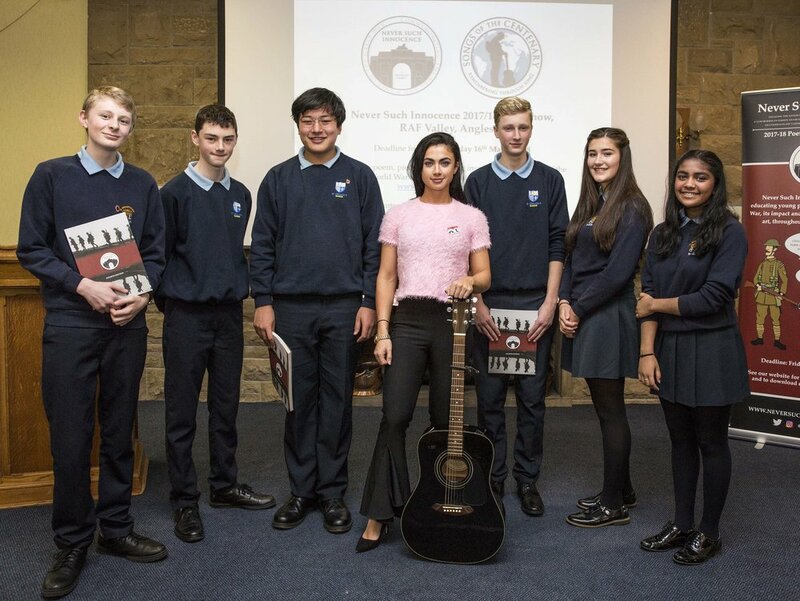 In partnership with The Royal British Legion we invited young people to pay tribute and say Thank You to the First World War generation, an opportunity for a creative expression of appreciation and gratitude. 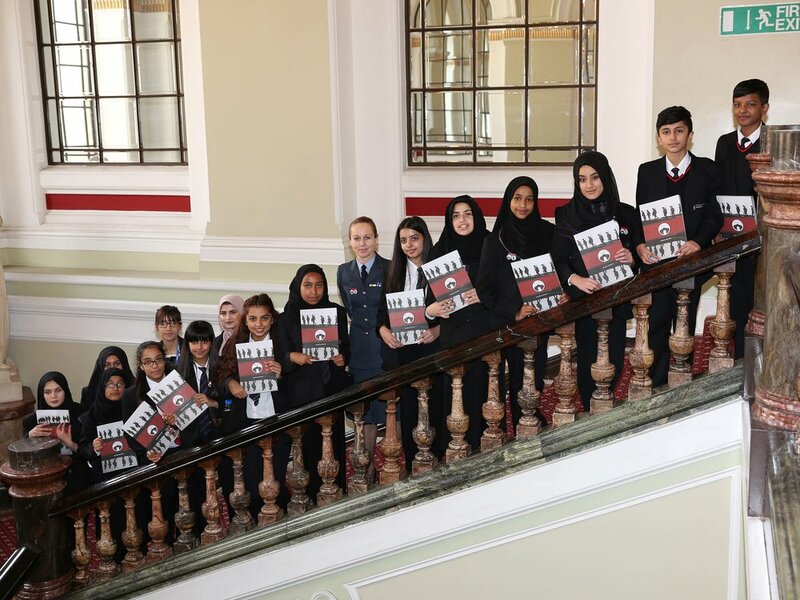 And together with RAF100, we encouraged children to consider the war in the skies as part of their contribution to mark 100 years since the formation of the world’s first independent air force. Prizes included the opportunity to take part in the unique RAF100 flypast over Buckingham Palace in London. We published the fourth edition of the resource, adding new country profiles on Russia, the USA, and Belgium, and information on the Hundred Days Offensive, Sports at War, the Jewish Community, the Easter Rising, and Advancements in Medicine. Our Salonika Remembers project – in partnership with the British Council, British Embassy in Greece, the Commonwealth War Graves Commission (CWGC) and Museum for Macedonian Struggle – invited schools across Greece to visit and explore their local CWGC cemeteries and respond to this experience creatively. All entries submitted through Salonika Remembers were exhibited at the Museum of Macedonian Struggle which was visited by the British Ambassador to Greece, HE Kate Smith, and winning children featured in the official commemorations at Doiran Cemetery in the presence of HRH The Duke of Kent. We extended our English, Gaelic and Welsh strands, inviting entries in ALL languages. 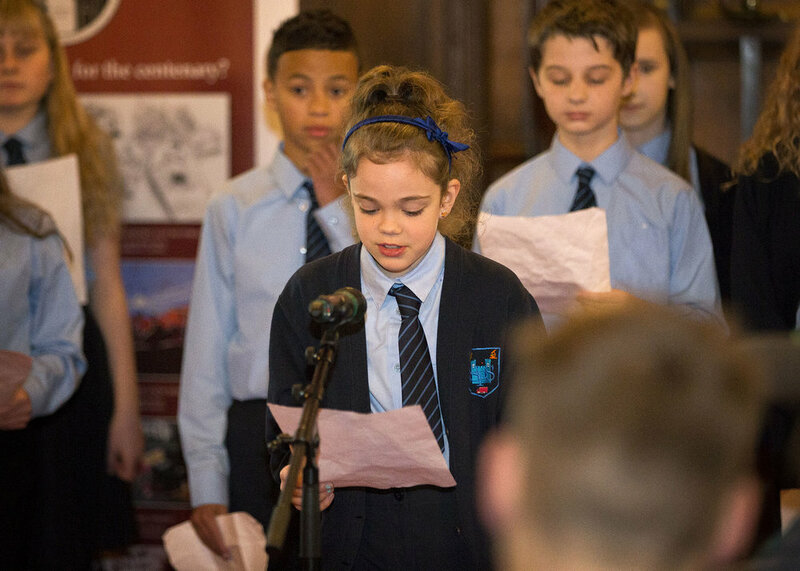 A total of 3,850 children entered the poetry competition, 2,482 entered the art competition, and 772 participated in Songs of the Centenary, across all age categories from 712 different schools and educational settings. For 2017-18 the process of selecting the winners was more difficult than ever. The winners were chosen by a panel of judges after much deliberation. The Poetry Panel: Major (retd.) Barry Alexander, Emma Dowley, Susan Hammond, Colin Kerr, Philip Harris, Sir Murdo Maclean, Michaela Morgan, Cheryl Moscowitz, Dr Andrew Murrison MP, Dr Viv Newman, Androcles Scicluna, Anna Trethewey, Prof Sir Hew Strachan DL, Elaine Vosko, and Lt Col Jo Young. The Art Panel: Michael Burleigh, Sergeant Scott Clark, Jim Fellows, Ricky Graham, Clare Grindey, Mark Jackson, Gabriella Kardos, Martin Impey, Michael Langmead, Warrant Officer Gill Malam, Helen Paterson, and Caroline de Peyrecave. The Songs Panel: Ned Douglas, Jono Hart, Rob Lewis, Holly Quin Ankrah, Dave Stewart, and Grant Tilbury. The winning entries can be viewed online here, and have been published in the 2017-18 Winners’ Booklet and all the winners were invited to the Awards Ceremony at the Guards’ Chapel, Wellington Barracks, by kind permission of Major General B J Bathurst CBE. The 2017/18 Never Such Innocence Competition was supported by The Royal British Legion, National Lottery funding from the Big Lottery Fund, Department for Digital, Culture, Media & Sport, RAF100 and The Leathersellers’ Company Charitable Fund.